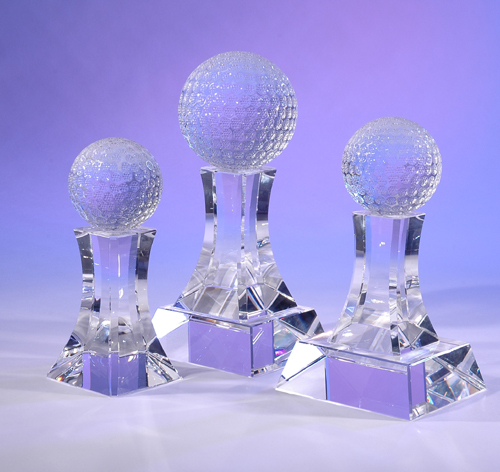 Featuring a handsomely designed, faceted crystal "tee", the GOLF CLASSIC AWARD by CRYSTAL WORLD makes a fabulous award or gift for any golfer. Each sculpture features a life-size crystal golf ball, complete with dimples. Mounted on a crystal base with ample room for etching, GOLF CLASSIC AWARD will make an ideal recognition, incentive or achievement award, corporate, executive or retirement gift. 2 1/2" x 2 1/2" x 6"